These are some of the Iowa Events Center’s most frequently asked questions. If you have a question that isn’t answered here, please contact us. Handicap accessible seating is available at various locations throughout Wells Fargo Arena and for those ticketed events happening at Hy-Vee Hall. Handicap seating is available to the patron with the disability and one guest. To purchase handicap accessible seating, please call (515) 564-8351. Each level of the Iowa Events Center is equipped with an automated external defibrillator (AED), which can save lives in the event of sudden cardiac arrest. There is one located outside Hall B in Hy-Vee Hall, one located on the east side of Level 3 in Community Choice Credit Union Convention Center and nine located throughout the main and upper concoure of Wells Fargo Arena. In the event of an emergency, please notify the nearest staff member. Iowa and Federal Law prohibits the sale of alcoholic beverages to persons under the age of twenty-one (21). Therefore, guests are required to show proper identification and proof of age when purchasing alcoholic beverages at the Iowa Events Center. The number of alcoholic beverages served may be limited to two drinks per person, per purchase. Management reserves the right to refuse service to guests who appear intoxicated or who are disturbing other guests. Beer sales are discontinued approximately forty-five (45) minutes before the end of the event. We encourage guests to drink responsibly and not to drive after drinking. Assisted listening devices are available to hearing-impaired guests at no cost. The assisted listening device is a headset that broadcasts the Iowa Events Center’s sound system on an FM frequency. Any patron checking out an assisted listening device must leave a driver’s license or a valid form of identification to receive the headset. They are available at the Guest Services booth located behind section 107. It is encouraged to make arrangements prior to the performance by calling 515-564-8000. Currently, there are three ATM machines located in Wells Fargo Arena. They are all located on the Main Concourse level: near Guest Services behind section 107, by the ticket office and near section 120. There are three additional ATM locations within the Iowa Events Center: on the skywalk level outside the administration office, on the grand concourse of Community Choice Credit Union Convention Center and near the Hy-Vee Hall ticket office on level 2. Backstage passes may not be purchased and are not available through Wells Fargo Arena. For most events, at the request of the artists and/or leagues, small point & shoot cameras are allowed. Professional cameras (specifically cameras with professional/detachable lenses and flash) are not permitted. The Iowa Events Center reserves the right to examine and prohibit the use of any camera that conflicts with the policy set by the event. Children twenty-four months and older must have a ticket in order to gain entrance to events at Wells Fargo Arena. Children under twenty-four months of age may enter without a ticket but must sit on their parent or guardian’s lap. PLEASE NOTE: some events will require all attendees regardless of age to present a ticket for entry into Wells Fargo Arena. Please check the event’s ticket policies at the time of purchase. There are a variety of permanent concession stands located throughout the main and upper concourses of Wells Fargo Arena. Additional “portable” stands are open for select events. For most events, doors open 90 minutes prior to the start time of the event. However, this can vary by event. For specific information, please check the event specific page on IowaEventsCenter.com. There are three elevators located in Wells Fargo Arena: the Southwest corner of the building off the skywalk entrance, the Northwest corner of the building off the premium seating entrance and in the Southeast corner near section 120. There are two additional elevators located in the Iowa Events Center: one on the East side of Hy-Vee Hall and another on the South side of Community Choice Credit Union Convention Center. There is one escalator in Wells Fargo Arena, on the south side of the building that provides access to the upper concourse. The Iowa Events Center also has escalators throughout Hy-Vee Hall and Community Choice Credit Union Convention Center. The First Aid Station at Wells Fargo Arena is located on the main concourse behind section 113. In the event of an emergency, please go to the first available officer or staff member for assistance. For information about green initiatives at the Iowa Events Center, click here. In order to maintain a safe and enjoyable environment we ask that while visiting Wells Fargo Arena, guests be courteous to those around them and abide by building policies. Guests using foul or abusive language, behaving in an unruly manner or appearing intoxicated are subject to ejection and/or arrest. The Wells Fargo Arena guest services station is located on the main concourse behind section 107. Guest Services provide guests a convenient location to obtain information, offer suggestions, voice concerns and request assistance during events. For your convenience, there are several available parking lots within walking distance of the Iowa Events Center. Accessible parking is available in all of the parking lots surrounding the Iowa Events Center. To park in the spaces reserved for disabled guests, the vehicle must have a state issued handicapped window pass, sticker or license plate. Any customer may drop off a disabled patron at the front of the Iowa Events Center, then park the car in one of the lots and meet that person inside the Iowa Events Center. A parking fee will be charged to every patron who parks in the lots surrounding the Iowa Events Center. Typically, parking fees are $7 per parking space. The distribution of promotional items, handbills, fliers, pamphlets, printed materials, as well as the solicitation of signatures, is not permitted on Iowa Events Center property without prior written authorization. The Iowa Events Center is surrounded by a number of hotels in Des Moines. For a complete list of area hotels, please contact the Greater Des Moines Convention & Visitors Bureau. Sign up here to receive the latest updates/presales on events. The Iowa Hall of Pride is located at the south end of Hy-Vee Hall, with parking available right outside the door. Visit for more information. Lost children should be escorted to the nearest officer or staff member. The lost child will be assisted at the Guest Services location behind section 107. In the event that you become separated from your child or a member of your party, you will also want to contact the nearest officer or staff member. During an event, you may inquire about lost or found items at our Guest Services location behind section 107. For inquiries following an event, please call 515.564.8351 during normal business hours. CREDIT CARD PAYMENT: Call (515) 564-8300 or visit the Iowa Events Center Ticket Office. The following information will be required: customer’s name, date of purchase, credit card used. Once the original order has been found, replacement tickets will be printed and the original tickets will be voided. ONLINE TICKETING OR CHARGE BY PHONE: Please contact the Iowa Event Center’s phone center 844-55-HYVEE to report your tickets lost. They will give you further instructions once you place a report with them. Any replacement tickets will only be allowed to be picked up on the event day. This is to ensure the safety of your ticket because once tickets have been replaced; no other replacements can be made. Tickets can only be picked up by the person who is listed on the account as the ticket purchaser with a valid ID and credit card used to purchase the tickets. Merchandise or novelty booths are available throughout Wells Fargo Arena during events. Occasionally, artists and tours will elect to sell their tickets through Paperless Ticketing technology. This technology does not issue an actual ticket at the time of purchase. Instead, the purchaser arrives the night of the concert with the credit card they used to purchase and a Government issued I.D. (driver’s license, passport). The credit card is scanned, and a receipt is printed with your seating location on it, gaining you access to the venue. With 1,300 parking spots on-side and another 10,000 spots available downtown, there is ample parking available for our events. With metered street parking surrounding the Iowa Events Center and parking garages located less than two blocks away, you will find accessing the Iowa Events Center is easy. If an item is revealed during a search, patrons may dispose of the item or they may return the item to their vehicle. Wells Fargo Arena does not safeguard any personal belongings or items of any type. The Wells Fargo Arena Ticket Office Located in the Southwest corner of Wells Fargo Arena. The Ticket Office can be accessed via the South entrance or the skywalk. Online at www.Hy-VeeTix.com. Locate the event in which you would like to attend and click the button next to the date of the event. For your safety, once a person exits Wells Fargo Arena, re-entry is strictly prohibited. There are restrooms located throughout the Iowa Events Center, located on all levels. Walk-through metal detectors are used at most events at Wells Fargo Arena. Cell Phones, keys, and RFID wallets will need to be removed and placed in a bowl before walking through the metal detectors. 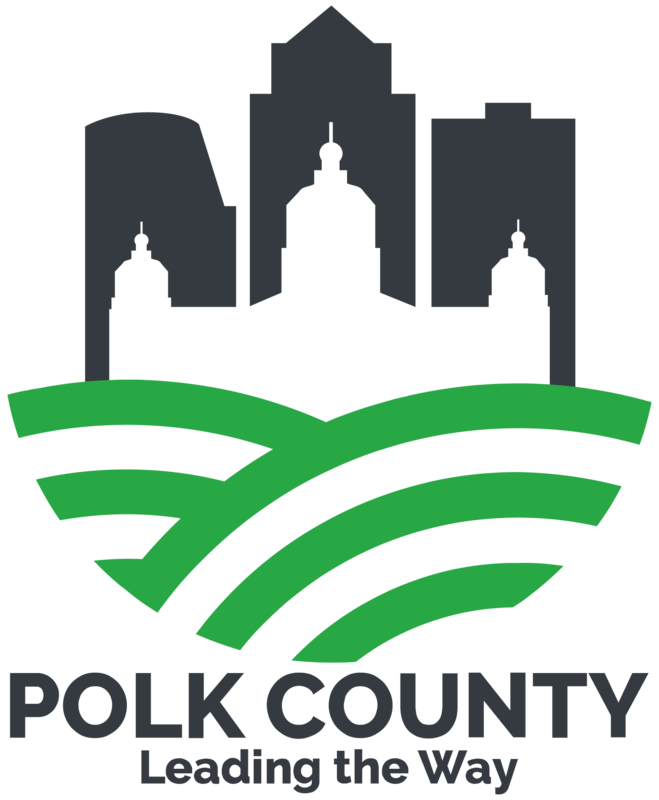 These procedures are not a response to any specific threat, but rather recommendations made by Spectra and security partner CSC with consultation from local law enforcement officials and Polk County. Fans are encouraged to allow for extra time to enter Wells Fargo Arena and to leave non-essential items at home. Smoking, including e-cigarettes, is not permitted in all public areas at the Iowa Events Center/Wells Fargo Arena including the arena and concourse. A designated outdoor smoking area is on the north and south entrances of Wells Fargo Arena. Wells Fargo Arena offers premium seating for businesses or individuals wishing to enhance their game or event experience. For suite rental information click here. *Please note: Some events have additional restrictions on picking up tickets at will call.